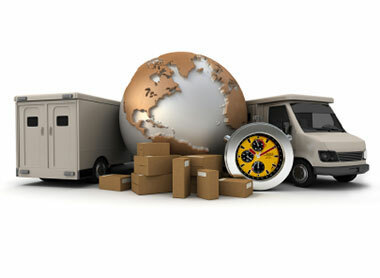 eLogX is an international shipping company based in the United States, offering an innovative way to ship from the US. Our global shipping solution is ideally suited to both individuals wanting to ship products from the US to any part of the world, and eTailers who are seeking an affordable, reliable way to source products from US markets. With three carefully designed plans, each offering excellent rates and a host of value added services, eLogX is easy to use, offering peace of mind, convenience, flexibility and highly competitive rates. Our Club Plan is offered at no monthly cost, while our two additional packages cost just $5 and $10 respectively. If you are interested in learning more about our story, keep on reading to find out what sets us apart as an international shipping company from the United States. As ex-pats who were simply enthralled by the possibilities of more choice and availability in online shopping, eLogX was founded by André Fouché and Nick Kuhn. After both had experienced some of the largest package forwarding solutions, only to find themselves unimpressed by the hidden costs and inflexibilities that came with these solutions, they realised the need for a new way of shipping from USA. Utilising their deep logistics and global shipping experience, blended with an entrepreneurial personal touch, the agile and affordable solution to the next wave of parcel forwarding was born. eLogX has been rigorously vetted by the TSA and has secure facilities managed by a thorough quality management system regime. Our proprietary state of the art storage and shipping information systems are accessed by easy to use web interfaces that tell customers exactly what is happening with their packages. For corporate shippers or wholesale eTailing services, detailed application interfaces are provided through API’s to integrate into their own ERP systems. "The difference in how we do things is simple and reliable. We cut the shipping bill, and improve the service." We have large corporates and small businesses who ask us to bring their products to them; sometimes we even source products to provide that competitive edge. When asked what sets us apart; "The difference in how we do things is simple and reliable. We cut the shipping bill, and improve the service." We can lower inventory costs and speed up imports from the United States to your part of the world. We can do specific things for specific consumers, or we can just receive shipments and forward them anywhere in the world through the worlds most trusted carriers. To learn more about getting started with an eLogX plan, you can compare our plans to see what each offers. If you have any further questions on our international shipping company, you can also get in touch with our team.